Last week I shared the top Christmas books my kids are enjoying this year. And this week I wanted to share some of the other books that my friends are enjoying with their kids this Christmas. It always warms my heart to know that other moms and dads are sitting with their kids on a regular (hopefully daily) basis and reading to them. The studies that prove how beneficial this practice is are countless. But for me and my mommy friends, we see these as opportunities to snuggle close to our babies, even when they are much too big for such labels. So here is a list of some favorites for our kids, in no particular order. This particular edition uses paper engineering to make the characters dance without the usual tabs to pull and break. Read all about a Fancy Christmas and see how Nancy decorates the Christmas tree. This is a perfect alternative for busy families who want to do a nightly advent activity but simply can't find the time. This interactive nativity allows families to spend up to seven days preparing the manger for Christmas morning. Join Curious George as he helps his friend, the Man with the Yellow Hat pick out a Christmas tree. In typical George fashion, the monkey finds a way to go over board while at the tree farm. This true story describes one little kitten gives a woman and her three dogs a wonderful Christmas gift. This book features a hedgehog with a woolly hat that your little one can feel while you read the story how this little creature must prepare for a chilly winter wind. This book discusses why we give gifts to each other on Jesus' birthday perfect for kids ages 3-8. This book will help you to talk to your littles about the joy of giving gifts, not just receiving them. This book is a collection of 5 classic Christmas stories from the Little House series. This is a powerful story that shows how an unusual present shows one little boy the true meaning of Christmas. Puppy is enjoying the hustle and bustle of Christmas preparations for the first time! This touch & feel book is a great interactive book to read to your littles. 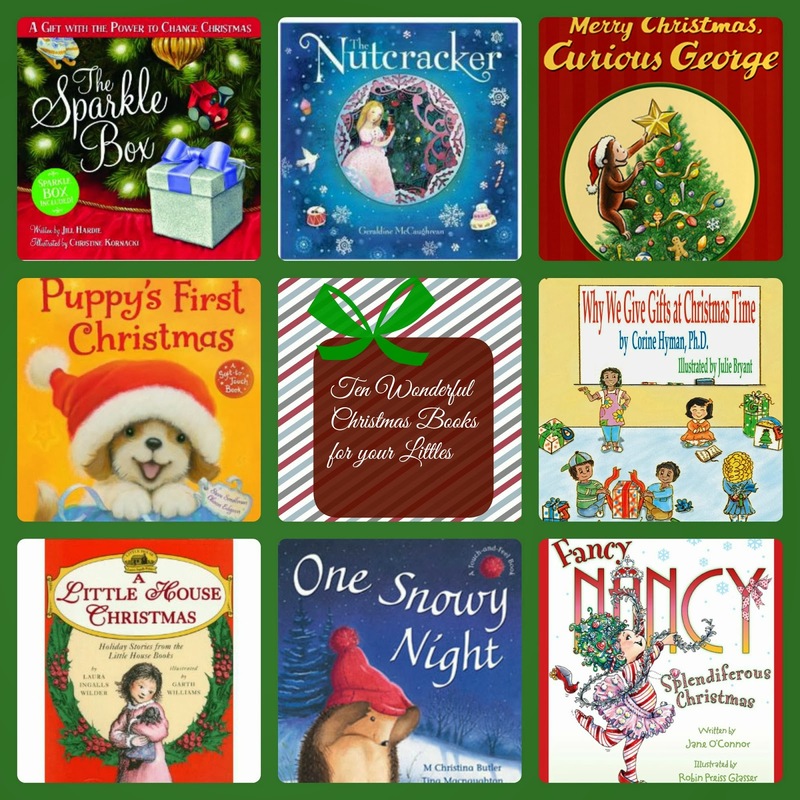 If you are considering adding any of these wonderful Christmas books to your home collection, think about using these affiliate links to support Reading List while you grow your home library. Thank you!